It can be very frustrating and upsetting if your child does not want to go to preschool. Is your child acting out, crying, and clinging to you every morning before going to school? If there is truly a problem with your child's school then you may think you have to pull him from school or change schools, but before jumping to any conclusions and taking this step, parents should analyze the situation very carefully to find out "why" your child is behaving the way he is. Is this negative behavior something new or recent? Separation anxiety is very common at the beginning of the school year. Give your child time to adjust. Has your child had ample time to adjust to a new provider or setting? 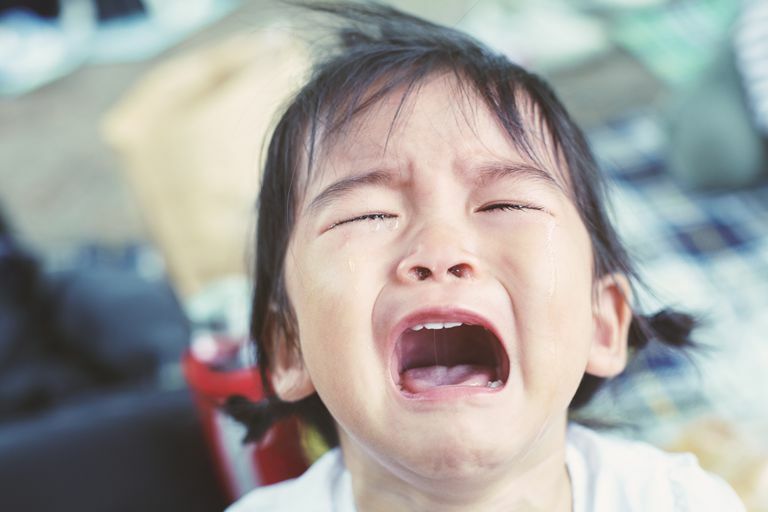 Is there a change at the pre-school that could be causing this negative emotion, such as a different teacher, a change in classroom, new rules, or even different peers? Is there a change in your child's life that could be causing this emotion? Has his or her routine been changed? Does the center's philosophy and learning style match with what your child likes? Just because a center has a good reputation doesn't mean it is the right choice for your child and your family. Has there been any type of incident that has occurred at the pre-school that could have impacted your child in any way? If your child is able to communicate, talk with your child about preschool. Ask him specific questions about the day and ask about favorite parts of the day. If it is the beginning of the year or after a break from school, it is very common for children to have separation anxiety or reject going to school. Reading books about separation is a great way to ease children's anxieties. Make sure you have a routine in the morning and allow some adjustment time. Provide your child language for expressing specific emotions and encourage discussion about likes and dislikes about the day at school, while remaining empathetic about any difficult feelings your child may be having. Schedule a meeting with the school to discuss how your child interacts with others, his likes and dislikes, and if there are any particular struggles or concerns that you are unaware of or should consider. For example, it may be discovered that your child feels embarrassed because he is not fully potty trained or "hates" school because he doesn't like his assigned seating arrangement at lunch. Sometimes certain songs or stories make kids feel sad or uncomfortable. Other times, music or gym time may be too loud or overwhelming for some kids. Children can become stressed or upset over things that seem small to adults. It is important to know your kid and also use the teachers as resources since they are educated in child development and have knowledge about sensory issues or other child development topics that a parent may not be familiar with. Once you discern that the emotion is not due to the child simply wanting to stay home to be near family (a common reason) and have ruled out any true safety or abusive situation, you can develop a better plan of action. Work with your child's teachers as partners to try and get your child to enjoy pre-school and his home-away-from-home environment. Maybe together come up with a goodbye routine or ask the teachers the agenda for the week so you can let your child know the night before. Ask what type of methods the school uses to encourage kids to have fun and use them at home. Ask what songs the children sing in the classroom and bring those songs into your routines at home. With time and lots of love and praise, children usually begin to love school. If your child continues to dislike the environment, you may have to consider the possibility that a change in care may indeed be the answer.